The Hispanic Family Foundation office is located in the heart of Nashville’s Latino community and in one of the fastest growing areas of Middle Tennessee. We have served thousands of people since our doors opened in 2016. Along with our great location, we have a large physical space that allows us to include our partners and serve more people through collaboration. In addition, we partner with two of the largest Spanish radio stations in Middle Tennessee: Activa 1240 / 105.1 AM and La Ranchera 880. This enables us to reach an audience of more than 300,000 radio listeners. We use 16 daily PSAs and our Cara a Cara Radio Show to promote events that benefit HFF. One great example of our reach was the 2015 Fiestas Patrias benefitting HFF with an attendance of more than 20,000. 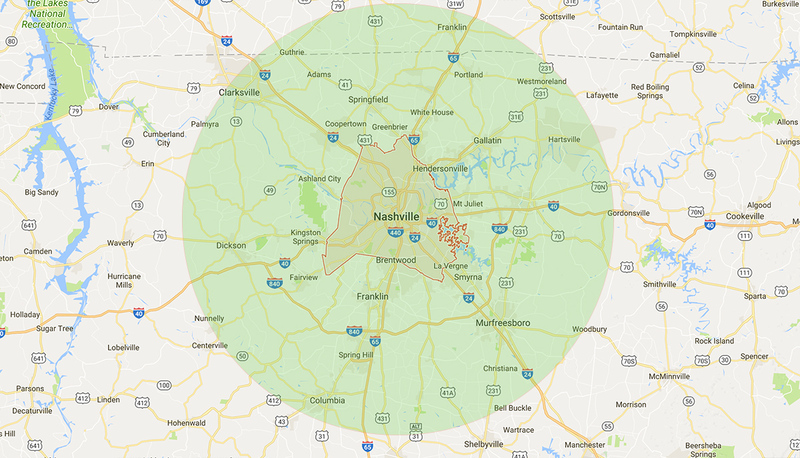 HFF's reach of the Hispanic Community through the TBLC media Radio Stations in Middle Tennessee. Activa 1240 AM, 105.1 FM, and La Ranchera 880 AM. At HFF, we understand the importance social media has today on Latinos and use the various channels in our communication. Especially effective is our use of Facebook, as Latinos are the most mobile and socially active group in the U.S. The percent of Latino’s using social media is 73%. Our HFF Facebook page reaches 30,000 Latinos in Tennessee through posts, live videos and ads. Nashville’s Hispanic population growth is projected to make up 34 percent of the Nashville metro area population, up from 10 percent in 2010 (NashvilleNext 2015). Growth: Between 2000 and 2012 Immigrants accounted for nearly 60% of Nashville’s overall population growth. Nashville’s foreign-born population grew by more than 86%, while the native-born population grew by 11%. New Americans now make up 12% of Nashville’s overall population, or more than 1 in 10 Nashvillians. Youth: Nearly 1 in 3 children (under 18) in Nashville lives in a bilingual or nonEnglish speaking household. 84.4% of children (under 18) in bilingual or non-English speaking households are U.S. citizens. The Hispanic Family Foundation serves Hispanic communities across Middle Tennessee and independent of where they live. The people who benefit from our services include a broad spectrum of ages, countries of origin, and issues of concern. We serve all Hispanics independent of their language preference, immigration status, or socioeconomic level.